Learning a new language enables students to develop their communication skills, intercultural capabilities and provides an opportunity for reflection on their own language use. The Australian Curriculum for Languages encourages schools across the country to engage students in learning a language in addition to English. The Goethe-Institut Australien supports primary schools with German language programs. 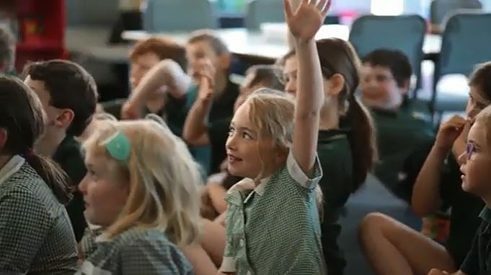 This short informational film, developed by the Goethe-Institut Australien, presents the advantages of learning German at primary school level and is the prefect addition to our information brochure for principals. Film "Learning German in Primary Schools in Australia"